Construction on College Drive between East Fourth Avenue and Main Avenue will start Monday. 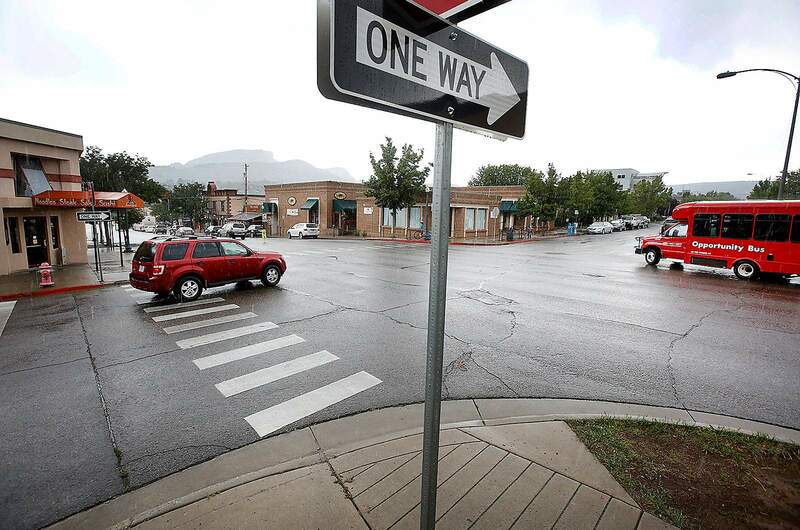 The city plans to install traffic signals at College Drive and East Second Avenue. Construction will begin Monday to reconfigure traffic lanes, add curb ramps and install a traffic signal at College Drive and East Second Avenue. “Pedestrians that are crossing College Drive at East Second Avenue will be much safer,” said City Engineer Gregg Boysen. Work along College Drive from Main Avenue to East Fourth Avenue will last until mid-May. Construction crews may close one lane of traffic at a time. Motorists in the 600 block of East Second Avenue may need to be diverted at Seventh Street, he said. The city identified the need for the changes in its Multimodal Transportation Plan, and the need was identified in a study done by Fehr & Peers traffic engineers in 2016. To improve safety, the city plans to reduce the number of lanes on College Drive from four to three from East Third Avenue to Main Avenue. College Drive will have a center turn lane and dedicated bicycle lanes on both sides of the road, according to city plans. In the 300 block of College Drive, the westbound outside lane on College Drive will become a dedicated right-turn only lane onto northbound East Third Avenue, the city’s website says. The city also plans to put in green boxes for bicycles along College Drive at the Main, Second and Third avenue intersections. The boxes will be similar to those found at the College Drive and Camino del Rio intersection. The diagonal crossing for pedestrians at Main Avenue and College Drive will be eliminated, which should keep cars from lining up to the train tracks, among other problems. Crews will start at the College Drive and East Second Avenue intersection, where they will install new curb ramps and prepare to install four traffic signal poles, Boysen said. Crews must also work on the storm-drainage pipe at the north side of the intersection, he said. The city is designing more improvements for College Drive from East Fourth Avenue to East Eighth Avenue and for East Eighth Avenue from College Drive to east Second Street. The number of traffic lanes along the entire corridor will be reduced to three, according to a news release. For more information about the improvements, visit DurangoGov.org/CollegeDrive.